Chris Nelson has taught in the North Andover public school district for the past 11 year since graduating from the University of New Hampshire in 2003 with a BM in Music Education. In 2010, he completed his MM in Music Education from Boston University. During his time in North Andover, Chris has taught middle school band, chorus, jazz band, and high school marching band. This year he has also added the position of 6-12 Fine Arts Facilitator. He directs the Jazz Band II Ensemble at Wakefield High School where he also teaches private lessons. Chris has been very active in the MMEA Northeastern District and All-State festivals. He has managed the Northeastern Senior Jazz Band twice and managed the MMEA All-State Jazz Band. Currently, Chris is now in his second year on the Northeastern District board as Senior Festival Coordinator. As a performer, Chris is a regular member of the Melrose Symphony and North Shore Philharmonic Orchestra. Luke Miller is the High School Orchestra Director, Middle School Orchestra Director, and one of the elementary school string specialists in the Melrose Public School System. 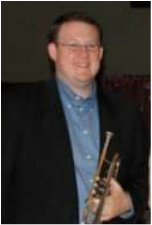 Luke has been involved with the Massachusetts Music Educators Association Northeastern District since 2010. He has served as orchestra manager for both the Junior District and Senior District Festival Orchestras, and was elected last spring to serve as secretary on the executive board for the remainder of the current term. As a violinist, Luke currently performs with the Melrose Symphony Orchestra, and occasionally with other community orchestras in the area. He also teaches private string lessons in Chelmsford, MA. Each summer, Luke spends his time working as a faculty member at a variety of music camps, including the University of New Hampshire’s Summer Youth Music School (SYMS), the Boston Symphony Orchestra’s Days in the Arts (DARTS), and the String Music Festival at Endicott College. Originally from Elizabethtown, KY, Tyler Polston is currently the Elementary Music Teacher and Band Director at the Penn Brook School in Georgetown, MA. Before starting this position in 2013, Tyler was the K-8 General Music Teacher in rural Kentucky. During his time in Nelson County Schools (Bardstown, KY) he started a beginning band program and served as Assistant High School Marching Band Director (2010-2012) and was the Visual Designer and Instructor for the high school’s indoor percussion ensemble (2011, 2013). Tyler was also a regular member of KMEA (Kentucky Music Educators Association) with students participating in All-County and All-District Choruses; he served as a guest conductor in 2011 and 2013. Tyler has adjudicated auditions for All-District and All-State band ensembles as well. Tyler is a 2010 graduate from the University of Louisville with his Bachelor’s Degree in Music Education and is a member of Phi Mu Alpha Sinfonia (Zeta Kappa). He is a tuba player and has played in community bands in Kentucky and Massachusetts. Tyler has recently been admitted to Boston University where he will pursue studies in the Master’s Degree in Educational Leadership and Administration program. He currently lives in Haverhill, MA and is a licensed Kindermusik educator. Brian Spignese has worked for the Methuen Public Schools as a general music teacher for the past fourteen years. The first eight years in Methuen he worked as a middle school general music teacher and for the past six years as an elementary general music teacher. Brian is a member of the PBIS Team (Positive Behavioral Interventions and Support ) at his school and has also worked on the professional development committee. Over the the past three years Brian has served as the general music coordinator for the Northeastern District of MMEA . He has successfully coordinated and organized several professional development workshops for the district. He has also helped to streamline the check in/check out process for both the junior and senior district festival auditions and has helped run the registration table on the day of auditions. Brian Fulks has taught in the Methuen Public Schools for the past eighteen years. During this time he has taught middle school band, chorus and general music. Brian earned a BM in Music Education from UMass Lowell and a MM in Music Education from Gordon College. In addition to his work in Methuen, Brian is currently the Woodwind Instructor for the Boston College Marching Band and an Assistant Director for the UMass Lowell Symphonic Band Camp. He has also taught the UMass Lowell Marching Band, various high school marching bands and as a private lesson instructor for saxophones and clarinet. Brian has served on the Content Advisory Committee for the MTEL Objective Review and the Curriculum Development Committee for Instrumental Music in Methuen. He has been actively involved in MMEA for several years holding positions as District Chair, Chair-Elect, Technology Coordinator, Senior Jazz Band Manager and Assistant and Junior Orchestra Manager. He has hosted Senior Festival Auditions for three years and Junior Festival Auditions for the past nine years. With degrees in Education and Oboe Performance from the University of New Hampshire and the University of South Carolina, Ms. Phipps currently teaches instrumental music in Belmont. Teaching instrumental music to students in grades 4-8, she works extensively with chamber music, is responsible for growing the Jazz program at her school and serves as a mentor to new music teachers. She has pioneered the use of SmartMusic software and has worked tirelessly to promote doublereed education throughout New England. 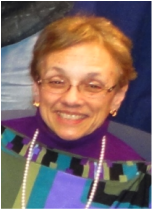 In addition to being the current district librarian for the Northeastern District and having served in the same capacity for the Eastern District, she has served as a manager for several different groups and Junior Festival Coordinator. She also initiated the annual Band Reading Session held at the Chenery Middle School each spring to help directors of younger bands explore new music. She is a member of the IDRS, NAFME, ASTA, JEN, WBDA and the NBA. Ms. Phipps is a free-lance oboist in the Metropolitan Boston area. As performer and coach, her passion for chamber music has found outlets in music festivals along the Eastern Seaboard. I have been a member of MENC (NAfME) since 1964. I have acted as Hosts for Junior Auditions two times while I was teaching at North Reading. However, I came to the Northeast District Board around 2000. I retired from teaching in 2006 and have continued as the Historian. One of my first tasks as the Historian was to take the numerous notebooks of programs and enter all the information into a database. I entered all the dates, conductors, ensemble names, compositions, and composers/arrangers for both Senior and Junior Festivals from their inception to the present. Each year I add the current year’s information to the list. All this material was later transferred to an Excel Workbook. Also, I am the keeper of the actual programs and any extra programs we may have. Nick Abruzzese is a student at University of Massachusetts Lowell in the Music Education Program. He will be graduating in May 2015 with his Bachelors Degree in Music Studies, and will be pursuing a Masters Degree in Music Education in the Fall. He looks forward to continuing his education and starting his career as a Music Educator. Nick has been instrumental in coordinating the collegiate volunteers from both UMass Lowell and Gordon College for the Northeastern District Festivals and Auditions since coming to the board in 2014. Prior to this year, Nick was working as an assistant to the previous Representative for two years.